In an increasingly digital world, it's difficult for institutions to evolve fast enough to keep up. Universities and colleges now face increased financial pressure, higher expectations from students and staff, and greater competition from domestic and international institutions. If universities want to attract the best applicants, adapting to the modern generation is essential. From prospective students visiting campus, to graduates about to enter the workplace, you need to think about your students throughout their journey. Ricoh solutions for Higher Education can help universities enhance the on-campus experience, offering modern facilities that provide an integrated mobile experience, as well as flexible, collaborative and engaging learning. Today's students have grown up surrounded by digital technology and the luxury of affordable travel. Higher tuition fees mean higher expectations from students who are more discerning than ever and less likely to be influenced by a university's reputation alone. Despite wanting to attract the best candidates, universities often struggle to keep up-to-date with the latest technological advances. At Ricoh we work with universities and colleges to modernise campus facilities and reduce costs. Ricoh Higher Education solutions have been designed to meet the changing needs of the education market and appeal to tech-savvy students. By integrating Ricoh's IT, print and communications services, universities can facilitate the BYOD trend, transform collaboration spaces and make learning personal, flexible and interactive. Additionally, Ricoh can simplify and optimise administrative tasks, including paper-heavy document processes, such as university admissions and student records management, providing secure access to data and saving time and money. 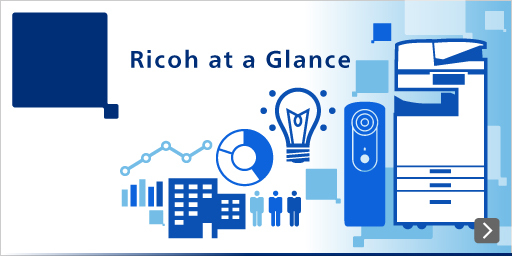 To learn more about Ricoh's Higher education offerings, please visit following pages.